Major Grade Slide: Drops in grades are a significant reason for losing a college acceptance. You might as well go out on a high note, as this is not the time to let those grades slide. Colleges can and will request copies of your final transcripts and will be concerned about a significant drop in grades. It’s also not a good idea to drop out of those “challenge” classes you took just to make your application look stronger. They want to know that you are willing to finish what you start. Unless you have a good reason, such as a family emergency, you might have some explaining to do. Becoming Less Involved: Colleges don’t want to think that you were so active just to get accepted; they want someone who wants to be involved in campus life right from the start. You only have a few more months to go, and you might even have fun in some of those clubs, so why drop out now? Getting Arrested: This is always a sure-fire way to catch the negative attention of the college admissions staff, especially if the arrest is drug or alcohol-related. They want someone who is going to be able to add to campus life, not detract from it. Just wanting to “let go and have some fun” will seem like a pretty sorry excuse when you’re still sitting home in the fall. 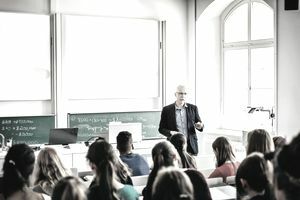 Not Living Up to Expectations: Sometimes a school will invite its incoming freshman class for a get-acquainted or orientation session. It is not the time to start acting like a high school student. They want to know that you are capable of behaving like a college student and that you are going to appreciate the opportunity you have. You may first receive a warning letter, or a letter requesting an explanation. If the college asks about your grades, the first thing you need to do is establish a plan to get those grades back up by the year-end. Meet with your teachers and guidance counselor to ask what you need to do to get back in the swing of things. Then respond to the college with your plan. Most of all, remember that you are becoming an adult and starting to take more responsibility for yourself. You’re not just trying to impress a college; you’re trying to set a standard for how you plan to conduct yourself in the future. If you do something that could harm your chances of getting into a great school, the only one you are hurting is yourself.